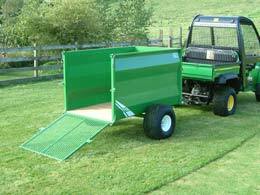 Groundcare Tipping Trailer - Trailers finished in either hot dipped galvanised or colour coded to suit customers requirements. 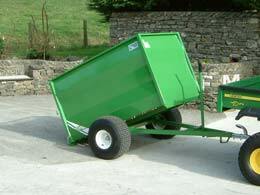 Swivel safety hitch and keruing hardwood floors as standard on ATV trailers. 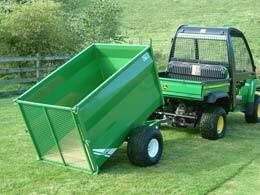 £995.00 - PRICES ARE EX WORKS, PLUS DELIVERY CHARGE, PLUS VAT.